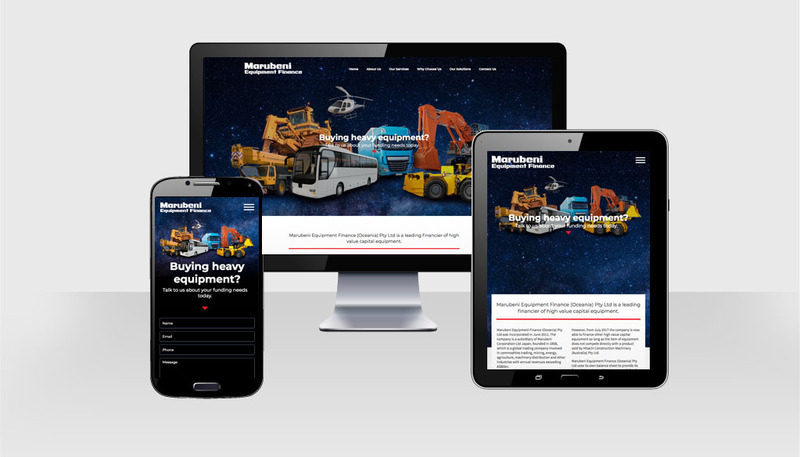 New website for a financial services company specialising in large scale equipment. Marubeni had an existing website that was tired and out of date. 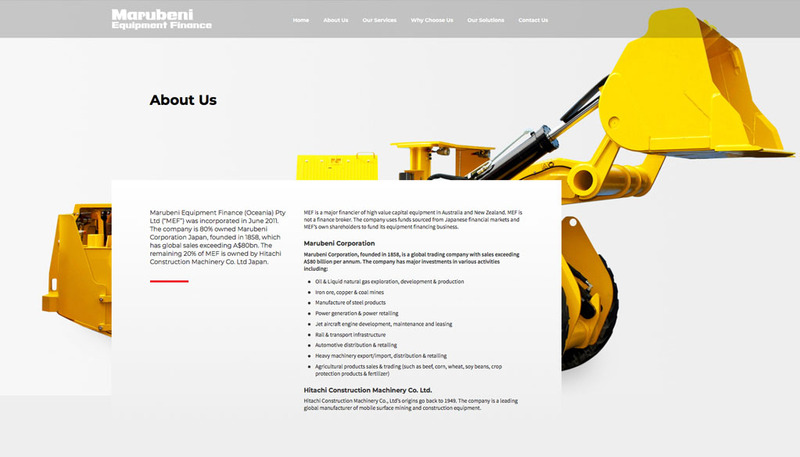 Marubeni were seeking a responsive solution that conveyed a more professional brand profile. Hopping Mad created a simple but striking website, with large imagery of machinery and dramatic background colour.